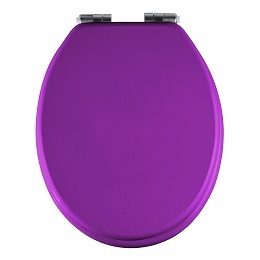 Give your bathroom a bold makeover with the Wenko Texel 20617100 Purple Toilet Seat with Soft-Closing Mechanism. 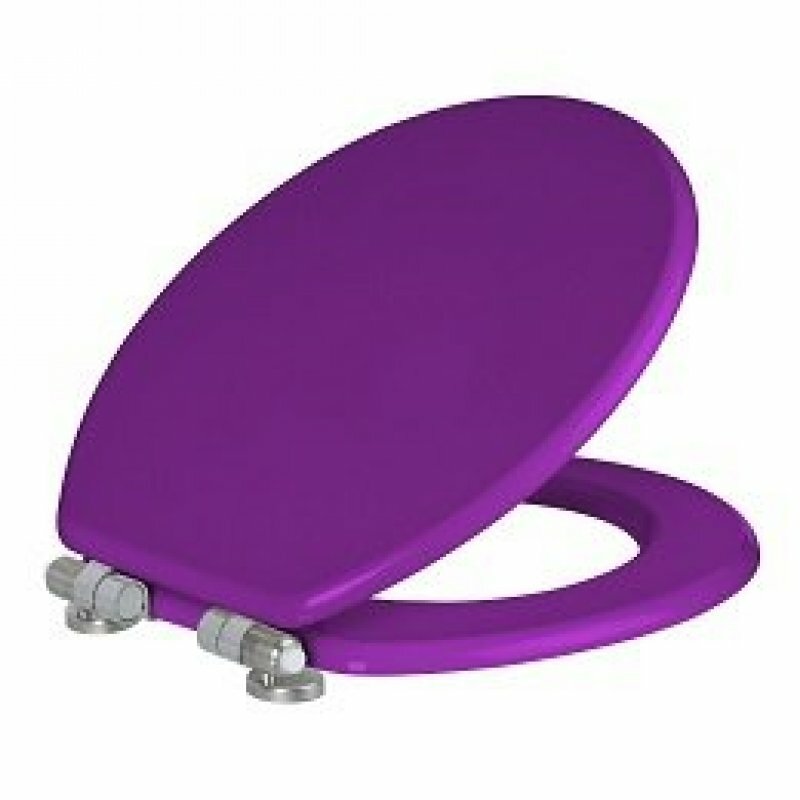 The bright grape colour of this designer toilet seat makes this bathroom accessory a true showpiece that will make your space look bright and modern. To make the colour the star of the design, the seat is given a sleek, smooth finish that truly makes the hue stand out. A matte finish has been applied to the hinges to make a sleek contrast with the colour of the toilet seat and enhance its contemporary style. 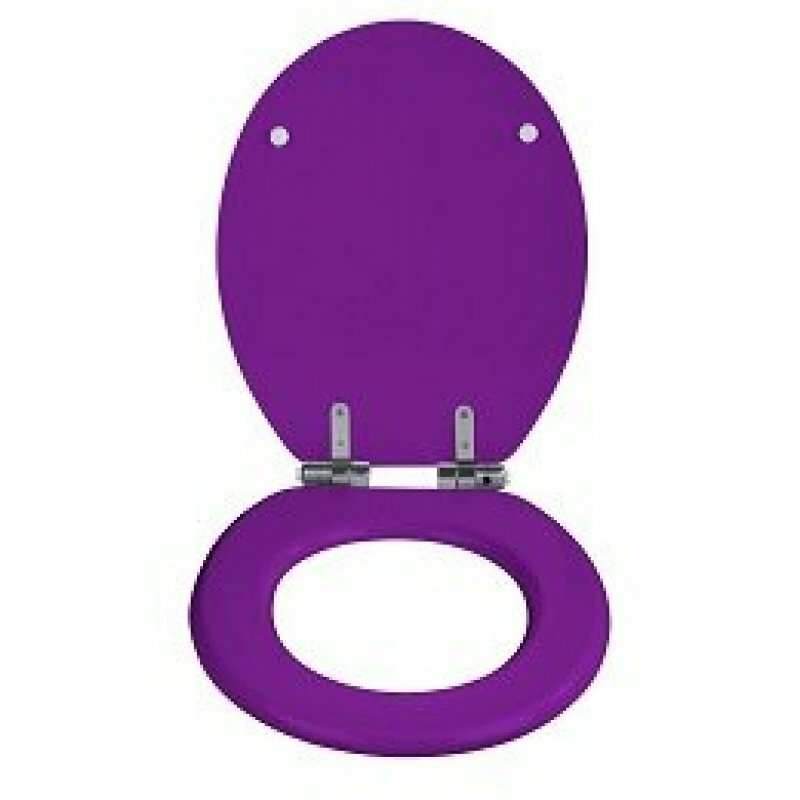 Made out of moulded MDF, the Wenko Texel 20617100 Purple Toilet Seat with Soft-Closing Mechanism is sturdy, stable and comfortable. A multi-layer AZO-free coating protects the seat from moisture and colonisation by microbes and allows it to be easily cleaned. The toilet seat features a rustproof stainless steel clip mounting, so installation takes very little time to complete. The convenient clip also makes it possible for you to remove the toilet seat with ease when it comes time for cleaning. The soft close mechanism on the hinges ensures that the seat always closes slowly and as quietly as a whisper to cut down on household noise and to protect the seat from damage.